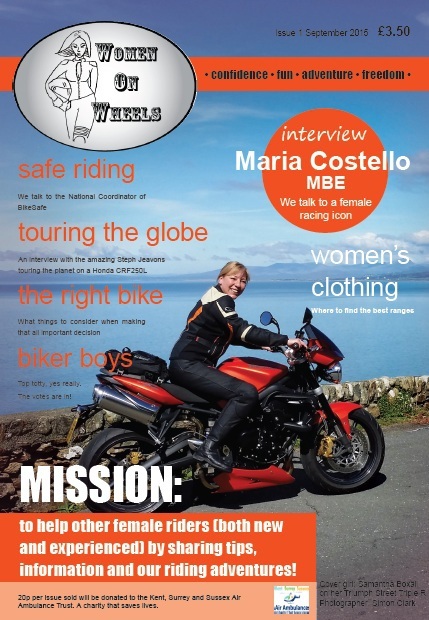 I can't believe it was only less than two months ago that I began to create this magazine Women On Wheels. Already after only one issue, it has become a creation that I cherish like a child. Much like the other half has become obsessed with the creation of his cafe-racer re-build in the garage, I now understand how to 'create' - and the satisfaction that goes with it - can become addictive. Positivity breeds positivity and I couldn't have hoped for a better reponse. Having rather stupidly busted my leg in the most awkward of ways back in July, I knew I'd be out of action for months following surgery. I thought to myself that even if I cannot ride for now, I can still concentrate my focus on the things that make me happy. In that sense this venture has really helped me, as well as hopefully suceeding (in some way) to bring the female biking community together. Strange to think that if I had been the type to want to watch daytime TV all day long during my recovery time, none of this would have come about. I must confess though, I've done all seven seasons of Sons Of Anarchy in between editing! See, people inspire me. I watch others do things and achieve goals and it makes me want to try things I never thought I would. Other people's amazing stories can be an amazing influence on your life. Make you realise some extraordinary things are possible. That is why I think sharing other people's stories is so important and exciting. For example, I was supposed to attend a Ducati track day at Silverstone back in July. Due to my leg I was unable to ride, but I went with my partner anyway to watch and an amazing thing happened. I met the lovely Maria Costello. Now she really is a remarkable lady (who I later interviewed as seen in the first issue) and what touched me the most was she was so kind. There I was sat there one minute with crutches feeling a bit bummed out that I couldn't participate, next thing a female racing legend has come to sit with me! We spoke about injuries - she's broken about 23 bones through racing - and recoveries amongst other things and by the time she moved on, I was buzzing. Suddenly I was not only inspired by meeting her (Maria also does amazing work inspiring women to ride with her 'ladies only trackdays' and Women On A Motorcycle group), but I felt confident that I'll be absolutely fine and totally able to ride again soon. So that's how it all began really. I started to collect stories and information which I thought would be of interest to my fellow lady riders. After seeing her photo on Facebook, I starred a lovely female biker from Wales (Samantha Boxall) on the cover. 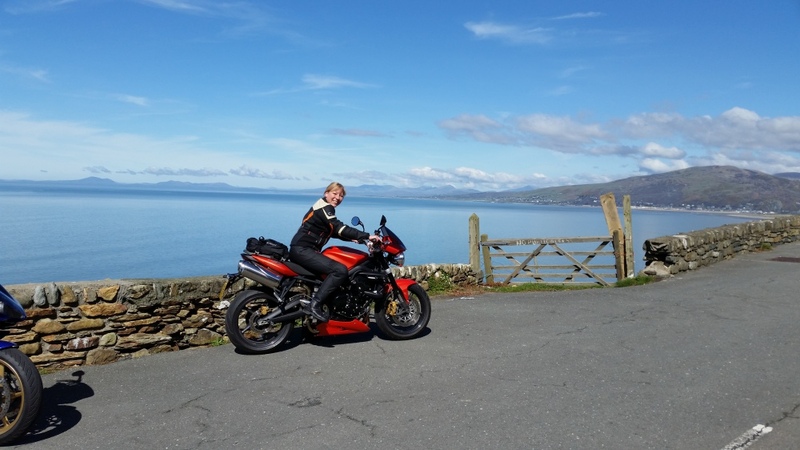 I interviewed the National Coordinator of BikeSafe and also an awesome woman by the name of Steph Jeavons who since leaving the Ace Cafe in London in March 2014, has been travelling the world on her Honda CRF250L ever since! I also covered the Women's World Record event held at Ace Cafe for largest all-female bike meet, where I spoke to the triumphant organisers Sherrie and Nimi. Then amongst other things, I discovered a community called Gear 4 Women Bikers who have made it their mission to get retailers and manufacturers to listen to our needs for better clothing ranges - something which has been a bug bear for us all at some point. I've been overwhelmed by how supportive everyone has been and I have eagerly already began work on the December issue - featuring a well known TV actress and her love of riding and a British stuntwoman of Hollywood, amongst other very exciting people and features! I cannot wait to reveal everything, so watch this space! Anyway, a massive thank you to everyone who's either bought a copy of the magazine or supported me thus far. It means more than you know...now for issue 2!